It is understood officers were only given a 15 minute warning to evacuate the area before the car bomb went off. Bombs and killings have never gone away they just haven't been reported, you know why this one has been reported though don't you? Brexit will just make things worse in Northern Ireland. I live just outside Belfast. Many places accept both Euros and pounds. Bad thing is, many people associate themselves as Irish and not British (despite living in the UK) They own Irish passports and accept payment in Euros. They don't accept that Northern Ireland is part of the UK and long for the day when the island is united with the south. Imagine all of those anti-British communities who will be forced to accept the British pound and have their local shops announce - "Sorry your money (Euro) is not accepted here any more." The IRA will probably say the Good Friday agreement has been breached because of Brexit and that will result in a renewal of the troubles. Let's hope it does not come to that. Land is just mud under our feet. Hard to imagine why anyone would want to fight over it, especially in this day and age. It doesn't sound to me like a genuine attempt at a timely warning, like calling the PSNI (even on 101) would be. "a warning was called into the Samaritans in the West Midlands. It was passed to West Midlands police, who contacted the Police Service of Northern Ireland." Ah yes the excuse for terrorism. Disgusting. Throw brexit into the mix. Tell me what was the excuse for the terrorism in the 70s 80s 90s, 00s. Long before brexit. It seems being EU members didn't stop the terrorism. The Irish govt officially ceeded the territory to the United Kingdom. The good friday agreement has go nothing to do with brexit. - Where in the good friday agreement does it say anything about free trade. 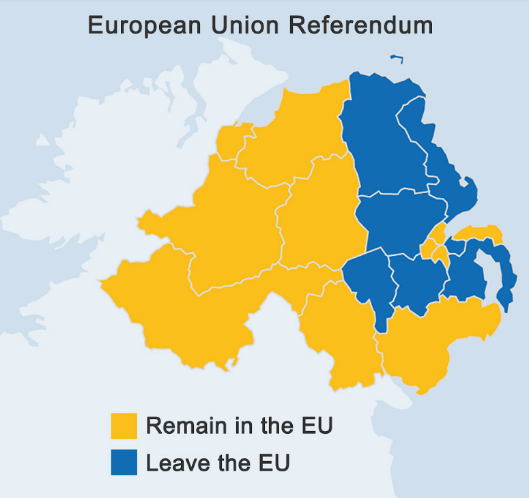 So NI needs another referendum on reunification. bull****, it's being used as an excuse. Brexit unleashed a british nationalism that has a damaging effect it alienates and invites confrontation, it's very plausable that it could provoke the IRA to break the good friday agreement. Thats why i made my comment. Apparently the ones who blew up the car were the new IRA, or should that be the new, new IRA. Either way placed on the Govts terror list in 2012. Long before brexit. The GFA did not turn the Irish into fun loving hippies. The only reason the GFA happened was the IRA was infiltrated and knew the game was up. As I've pointed out to you. Being eu members didn't stop the terrorism in the 1970s through to 2001. So what was the excuse then you silly ****. Your attempt at trying to link this to Brexit is disgusting. They took for granted when the peace deal was signed that the UK would remain part of the European Union. The country is heavily integrated with the south so much that the border is practically non-existent. For quite a few years Sinn Fein has had MEPs in the European parliament. They certainly don't accept Brexit and anything that destabilises the peace in Northern Ireland is not good - hence Brexit is not good for Northern Ireland. Peace is such a fragile thing. 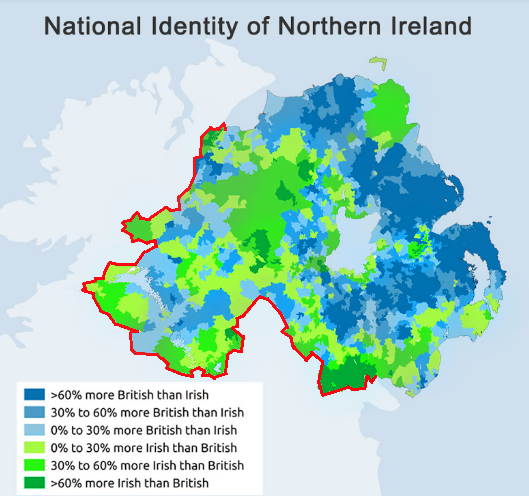 Brexit could easily be used as a propaganda tool for oppression against the people of Northern Ireland who consider themselves Irish and not British. They don't even recognise their home as being inside the UK and soon they will be forced to. You can see which side of the political spectrum they support by looking at various murals around the country. The UK will uphold its side of the GFA. Ireland will have to seek permission from the EU to do the same. Easily solved as the border isn't a issue. The border today is a VAT & Exicse border, and Currency border. Brexit doesn't alter that fact. The free movement of Irish citizens including their rights, to live work, and vote in the UK. Agreed in 1922. is not altered. There is no requirement or mention of Free trade in the GFA. Where is the problem. I will let Tony Blair discuss the risks to the Good Friday agreement. It’s about free movement of people, trade across the border. It’s supposed to simulate no borders and a sense of one country. No excuse for any return to violence. Saying something is easily solved doesn’t make it so. I bet you are one of those guys who suddenly pops up behind your "neighbours" hedge when he is having a bbq saying "if i were you i would wait to put the meat on the grill" im mr burns on angusroad two blocks from you. No, it hasn't. You don't know what you are talking about. oh well, if its about free movement of people then problem solved. As i keep pointing out the Irish will still have the right to live, work, claim benefits and vote in the UK. something agreed in 1922. between the UK and Irish Govts that is not changing. the GFA makes no mention of Free trade and not part of any agreement. There is a border at the moment, in the form of a different Tax regime, VAT & Excise, and Currency, after Brexit it will be exactly the same. All done without border check points. It's the principal of national identity that is the problem. 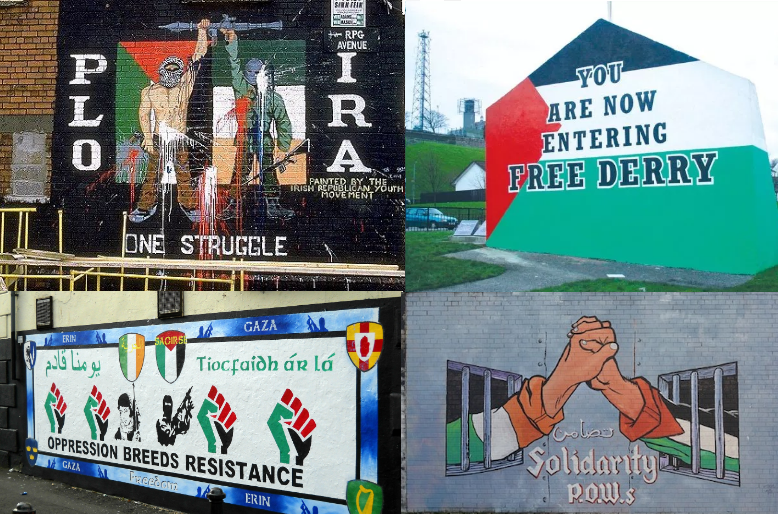 A large percentage of the people here do not recognize that Northern Ireland is part of the UK (similar to palestinians who do not recognize Israel). To the many Irish here, being called British is a deep insult and they refuse to accept that their futures are being decided by a British government to pull them out of the EU and out of shared investments with the south. They feel that Britain is using Brexit to hold a tighter grip on the country. They want to distance themselves from the British and support parties like Sinn Fein who want a united Ireland, and Brexit will force them all to accept the reality that they are part of the United Kingdom under British rule and authority. The country is deeply divided. Peace is such a fragile thing. Northern Ireland haven't raised any objection to remaining part of the United Kingdom and there is no prospect of that. Looks like we need to transplant across some more English families lol. Wrong again. That is the story put out there by remoaners. The truth is Brits voted out because they can see the direction the EU is going, I.e. a federal union or united states of europe run by Berlin, where sovereign countries can be overruled and sidelined. I guarantee you that if the people all over europe were given the chance tomorrow to leave, we wouldn't be the only ones leaving.